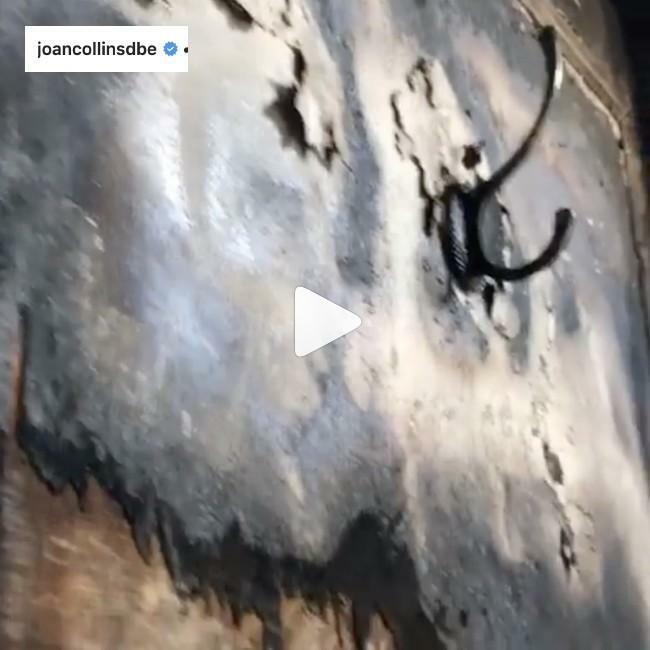 The ‘Dynasty’ star and her husband Percy Gibson were both left "very shaken" but "unhurt" following the blaze, which took a hold of the guest suite at their London home on Saturday (13.04.19), and on Instagram, Joan has posted a video which shows the extent of the damage caused by the fire. Captioning the clip, she wrote: The remains of the day…see my recent #tweet Thank you @londonfirebrigade #shafetsbury !! (sic)"
She wrote: "THANK U from the bottom of my [heart] to the marvelous @LondonFire who attended to the terrifying fire yesterday in our flat. #threealarmfire My hero Percy had already doused the flames consuming the entire wall with handheld extinguisher (#donttakethisrisk). #gratitude #firefighters … And thanks also to the @NHSEnglandLDN #nhs #emt #Ambulance crew who took care of our smoke inhalation and comforted me. And the wonderful @metpoliceuk who kept the street closed and everyone safe. #gratitude (sic)"